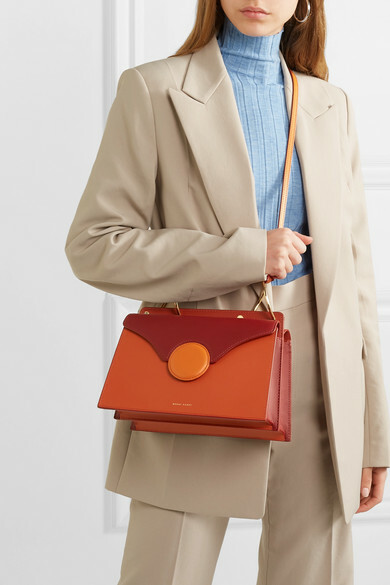 Danse Lente's 'Phoebe' shoulder bag is back by popular demand and fans of the structured, roomy style couldn't be happier. 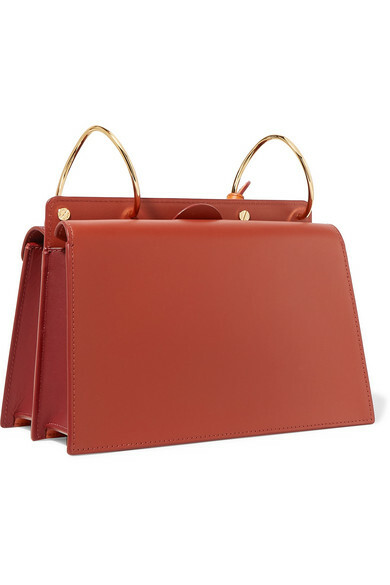 This updated version is made from a combination of burnt-orange, brick and burgundy leather that designer Youngwon Kim calls 'Ginger'. 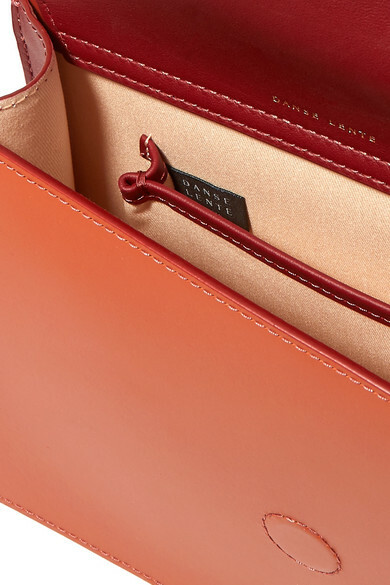 It's detailed with signature gold spirals and has two compartments for all your daily essentials. 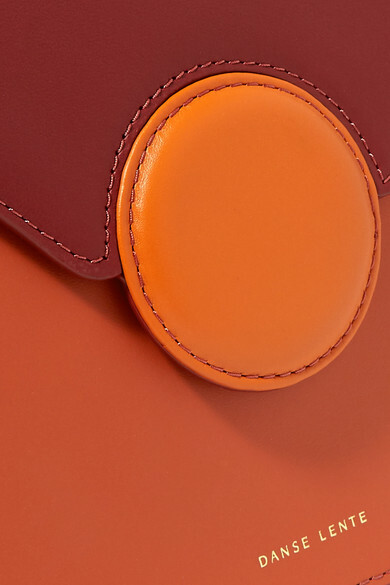 Adjust the strap according to your preference. Shown here with: Helmut Lang Blazer, Helmut Lang Pants, Helmut Lang Sweater, Jennifer Fisher Earrings.